Diana, the Roman goddess of the hunt graces every cover of Bloomsbury’s publications. She is hunting for new talent in both academics and fiction. One of Bloomsbury’s founders Liz Calder suggested the divine logo. 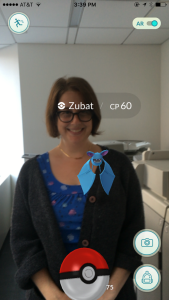 Meet Bloomsbury, the publisher with a magic touch. With four different divisions, the British publishing house offers a variety of publications in academic, information, adult and children’s literature. They are perhaps best known internationally for publishing the fictional series „Harry Potter“. Within the academic division, over 1,200 books are being published per year, specialising in humanities, social science and visual arts. In the past they have won numerous awards as the leading publishing house for educational purposes in the United Kingdom. In the field of Media Studies, Bloomsbury provides texts from undergraduate textbooks to academic monographs. 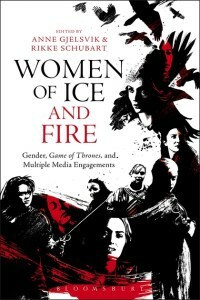 Their topics and approaches range from practical guides for filmmakers to historical volumes, for instance in books on Broadcasting or Celebrity Studies. Katie Gallof will be present during the NECS Potsdam 2016 conference. We try to think digital for all our projects. The corresponding release of ebooks along with print books is pretty common now. We also re-engage with our backlist, combining with frontlist by subject, in our Bloomsbury Collections – delivering instant access to quality research and providing libraries with a flexible way to build eBook collections across the humanities and social sciences. Bloomsbury Academic is already home to multiple digital collections: Bloomsbury Fashion Central, Churchill Archive and Drama Online, the latter of which a new project – Screen Studies, in partnership with Faber and Faber – is set to launch in 2018, utilizing the same platform functionality to deliver a broad range of text and video content for film and media studies programs and courses. It’s very exciting! Connectivity at work is everywhere: the ability to contact an author or a colleague via an email, phone call, skype, tweet, poke, but I think attending conferences, making campus calls, coming face to face with scholars and students still is the best kind of connectivity, as old-fashioned as that may sound. On top of the dedicated lists for both film and media studies – our other lists in the humanities are following suit with interdisciplinary research as a matter of course, especially relating to new media. There are also many examples of how we use media to promote our books, and – if you’ll excuse the namedrop – I think the world encompassing the Harry Potter universe is a good example. One of the first books I commissioned was on the legendary radio pioneer, playwright, screenwriter, and professor of Journalism, Norman Corwin. Lucky enough to be handed the project when the book’s editors were given exclusive access to Corwin’s personal journals, from when he travelled the world for CBS after winning the Wendell Willkie One World Award in 1946. He used the trip to interview people around the world, from heads of state to men and women on the street, recording their observation and impressions on life after World War II. I even got to meet him in LA, and have dinner and wonderful conversation with him – one of my most cherished memories. 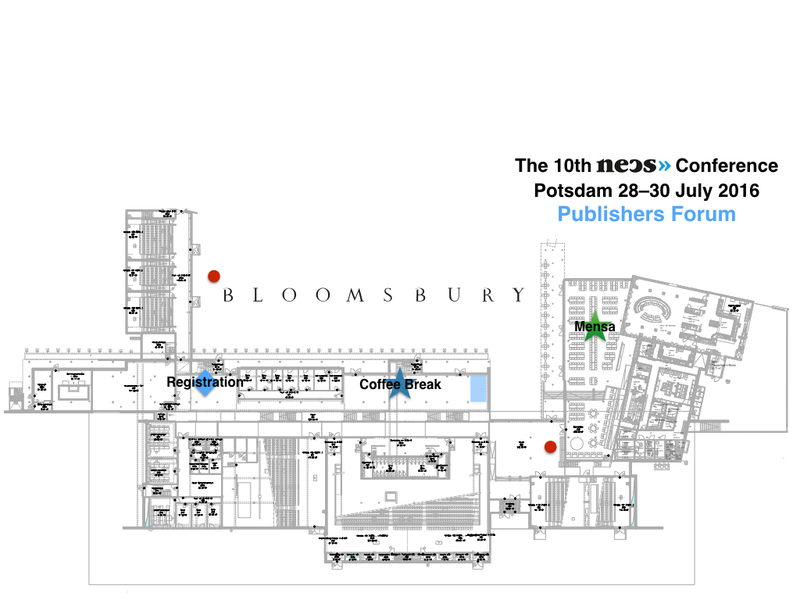 Meet Bloomsbury at the NECS conference 2016 in person!